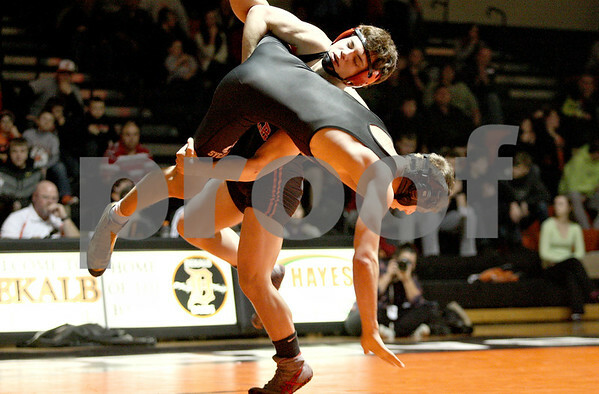 DeKalb's Matt Macarus takes Sycamore's Michael Ernster to the mat in the 152-pound match at DeKalb High School on Thursday, January 16, 2014. Macarus won the match, 14-5. DeKalb won the meet, 51-8.